LOUISVILLE, Ky. – March 22, 2012 – Daimler Trucks North America today introduced the Detroit™ Transmission– the next component in the complete Detroit powertrain. 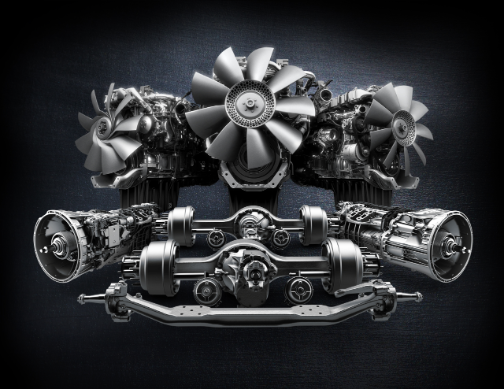 Detroit is now the only OEM that can offer a complete powertrain package, which also includes Detroit axles and Detroit’s industry-leading heavy-duty engines. Detroit’s integrated powertrain is part of Daimler Trucks’ Global Excellence Strategy to have uniform production standards and processes worldwide, resulting in the most efficient, highest quality and lowest cost of ownership products in the industry. The development of Detroit’s powertrain products has been an international effort, with resources being drawn from all of Daimler’s global capabilities. Daimler’s transmission technology has been extensively tested and proven in series production in select European markets since 2005. The 12-speed, direct- or over-drive automated transmission combines a traditional clutch-actuated manual gearbox with high-speed, computer-controlled shift and clutch actuators, which automatically and seamlessly selects the right shift pattern for fuel economy and engine power. 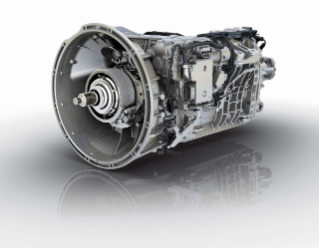 The direct drive transmission will be the best technical solution to maximize fuel efficiency for line-haul/long haul operations. It combines improved slow speed maneuvering capabilities with high road speed efficiency. Features such as active driveline protection, which anticipates torque windup; and torque limiting, also enhance reliability and driver comfort. The Detroit transmission employs advanced fuel efficiency technologies including skip shifting, enabling drivers to run through lower gears faster to achieve cruising speed sooner; and EcoRoll, which helps the vehicle coast more efficiently. 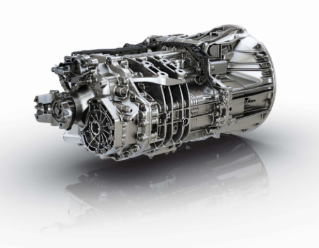 The transmission’s lightweight aluminum design results in up to a 300 lbs weight savings (vs. cast iron designs), benefitting fuel economy or increasing bulk payload. Equipped with driver-friendly features such as a true two-pedal system for ease of operation; helical gears that reduce noise; a control module that communicates with the entire powertrain; and a kick-down feature that improves vehicle acceleration, the Detroit automated transmission is an ideal solution for drivers at all skill levels. Driver selectable shift modes for performance or economy. Easy serviceability, routine maintenance intervals and a comprehensive warranty program further extend the value of the Detroit transmission.